Struggling to concentrate, relax, or sleep due to noise? 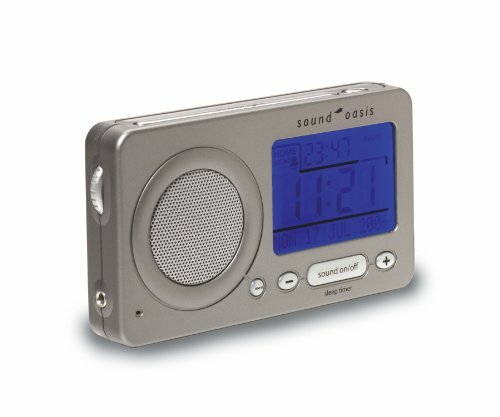 Have you ever considered a noise cancelling device? These devices help to block out unwanted, irritating noises helping you focus and get off to sleep more easily. In this article we’re going to take a deep dive into the key benefits of these devices; we’ll touch on things to consider when making a purchase and then we’ll dive into our favorite products on the market. In case you’re in a rush, here’s the summary of the products we review further down the article. I recommend you read the whole article to ensure you make the right purchase for your needs. Ever sat next to someone who likes to ‘project’ their voice a bit too much. Annoying, isn’t it. A pair of noise cancelling headphones for traveling on public transport is a godsend. If you travel a lot and stay in hotels, one of these machines will help you reach the land of nod regardless of how noisy the place is. How about your work environment? If you find the voices of your co-workers frustrating and distracting, good news: you can use technology to cancel them out. Like office work, studying requires a lot of concentration, which is difficult to achieve when outside disturbances are distracting you. If you like to study in public spaces, some noise cancelling headphones might be perfect. 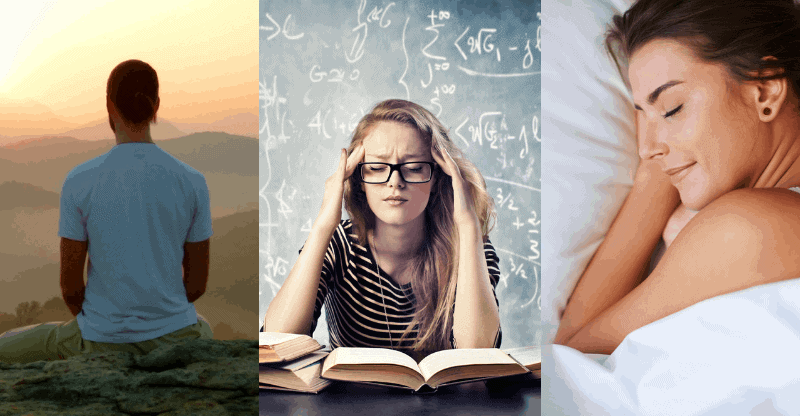 If you study at home but still find it difficult to concentrate, one of these machines might help you to get into the right headspace. A common problem for many musicians is the hearing damage they inevitably suffer from playing gigs. Whether it’s playing a live show, rehearsals or just the rotten luck of being stuck next to an enthusiastic percussion section – it’s an unfortunate fact that you’ll often find yourself with persistent ringing in your ears. These devices won’t eliminate the ringing, but they’ll certainly help to lessen it. There are two types of noise cancellation device, so let’s take a look at both. Sound masking machines are the most common way of removing background din in the office, at home, or wherever else you happen to be. They use either fans or digital recordings to create white noise, which masks out unwanted disturbances. Most of these machines have relaxing, ready-made presets to choose from, such as a jungle, waterfall, beach or ocean. These encourage relaxation, focus, and a good night’s sleep. The other alternative is noise cancelling headphones. These use clever technology to remove background noises automatically. They’re designed for people who want a decent pair of headphones and also like a bit of peace and quiet. Headphones are obviously portable, so they’re perfect for those who want to move through public spaces, blissfully undisturbed by the general racket going on around them. However, they’re not good for getting you to sleep – unless you’re comfortable falling asleep wearing headphones. As you’ve seen, there are two main types of device. So, which one’s right for you? Are you looking to cancel out the sound of people chatting on the bus, or are you looking for something to switch on when you’re at home to help you to get to sleep? Maybe you’re looking for something that you can switch on to encourage a higher level of concentration in the office? Sound masking machines usually have a variety of ready-made ‘soundscapes’ as well as the standard white, pink or brown noise; you can relax listening to birdsong, oceans, running rain, etc. Do you have a particular sound you prefer? Have a think and see if the product includes it. 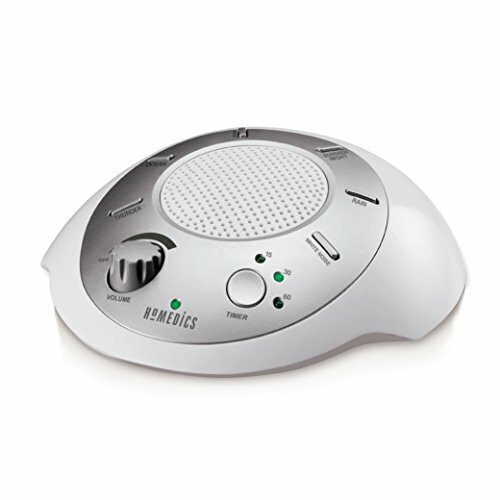 Many sound masking machines also include sleep timers which gradually lower in volume until you drop off asleep (and then switch off automatically. If that’s something that appeals to you, make sure the product has that feature. Some have headphone jacks too, which is a nice touch. So, now you know what you’re looking for, let’s look at each of the top models in more detail. 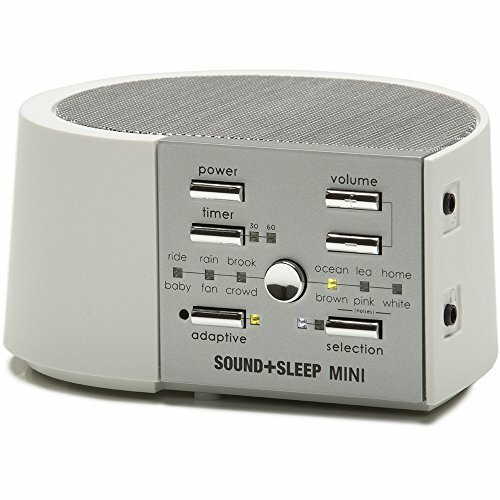 The Marpac Dohm is a small sound masking machine which is the perfect portable sleep aid. It has two speeds of white noise to choose between, and it’s perfect for blocking out things like road noise or noisy neighbors. It’s fan-based, so it produces its sound naturally. This machine is perfect for those who like to keep things simple, and simply hoping to sleep better. It will be less suited to those who require relaxing sounds to help with yoga or meditation, or to those who want more settings to play with. Another very portable device, this digital machine has a variety of options. Although they’re pre-recorded, the machine manages to avoid repetition by randomizing the order of recorded natural sounds, so that each time you listen, it’s different. The most ingenious feature of this product is the way it ‘hears’ what’s going on in its immediate environment. The machine detects noises and reacts to them without becoming intrusive itself. Another digital machine, the HoMedics Sound Spa is the best value for money on our list. Either batteries or an adaptor can power it, and it has six presets to choose from, including white noise and natural weather. There’s a timer so that you can set it to turn off after 15, 30 or 60 minutes, so you don’t need to worry about it being on all night and potentially overheating. This will suit those who are on a budget, and who want something that’s small and simple to set up. It will be less suited to those who demand higher quality features. This is a handy little tool for business travel but also works great for a musician on tour. They’re also super useful to have on you if you have a sudden surge of creativity as you’re winding down at the end of the day. It’s digital, with 18 recorded presets to choose from to help you to relax, concentrate, or sleep. There are also four-timer options: 30 minutes, 60 minutes, 90 minutes and continuous, as well as the extra feature of an alarm and snooze. It tells you the date and time too and allows you to record memos: a real all-in-one machine. There is a rotary volume control and a headphone jack, so you can ensure that you’re not disturbing others with this device as you travel. It will suit people who are often on the move and need something that can act as an all-in-one gadget to help them to sleep and wake up. It will be less suited to those who want a more permanent option for their home. 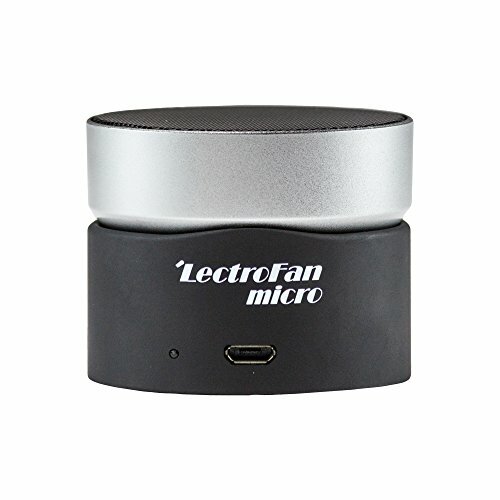 The LectroFan Micro is the smallest device on our list. It has ten presets to choose from, none of which loop and the speaker swivels so that you can choose the direction of the sound. It’s chargeable on a USB, and it has a 16-hour battery life, so if you need to leave it on all night as you sleep, that’s no problem. Unfortunately, there’s no timer option on this one, but it does offer a function that none of the others do: it doubles up as a Bluetooth speaker. So, if you’re traveling, you can enjoy listening to some music from your phone before you head to bed. It will be perfect for those who struggle to sleep when they are traveling and need something portable and straightforward to assist them. It will be less suited to people who want to establish a good sleeping pattern at home, or for those who require a device that automatically turns itself off. The Bose QuietComfort 35 headphones are feature-rich noise cancelling headphones. They listen to the noise around you and react with a contrasting frequency to cancel it out, and also have volume optimized EQ for music. They have up to 20 hours of wireless play time and can manage up to 40 hours if you choose to use the wired connection. There’s even a noise-rejecting microphone function, which makes this pair of headphones ideal for phone calls. These headphones will suit busy people on the move, who enjoy music and need to take phone calls while they are in lively surroundings. 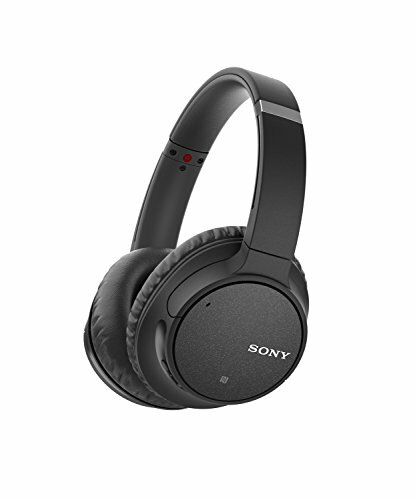 The Sony WH-CH700N headphones are a more budget-friendly option, offering Bluetooth compatibility, wirelessness and a long battery life of up to 35 hours. You can skip tracks, adjust volume and speak on your phone using these headphones. They also boast a digital enhancement engine, which boosts the quality of compressed files, as well as a microphone function which silences ambient sounds. 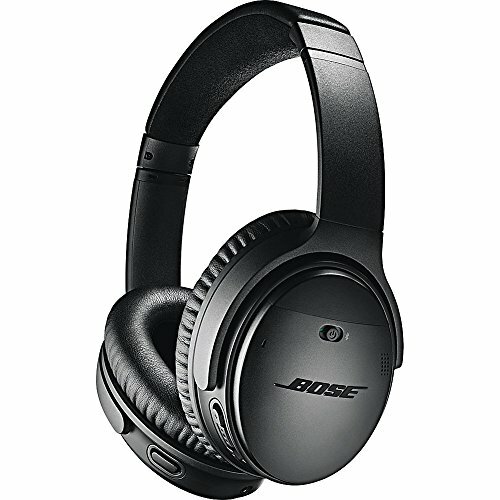 These headphones are perfect for people on a budget who still want the majority of the features you’ll find on the Bose QuietComfort 35. They’re great for listening to music stored on your phone, or for those who need to make phone calls hands free or in noisy environments. They will be less suited to those who are looking to achieve the ultimate sound quality and noise cancellation. 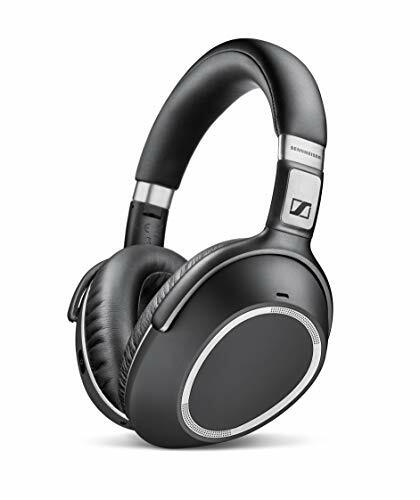 Sennheiser have a longstanding reputation for creating top quality headphones, and these are no exception. They have three preset EQ modes which you can also adjust to suit you. This makes it easy to achieve the sound that best suits the style of music you’re listening to. They’re Bluetooth compatible so that you can listen to the tunes on your phone, and the noise canceling technology works by an intelligent digital frequency-reversal process, following a microphone picking up the signals in your surroundings. These headphones are perfect for those audiophiles out there who want their music to sound its absolute best, even when they’re traveling. If you want the ultimate in noise cancellation, however, I’d choose the Bose. 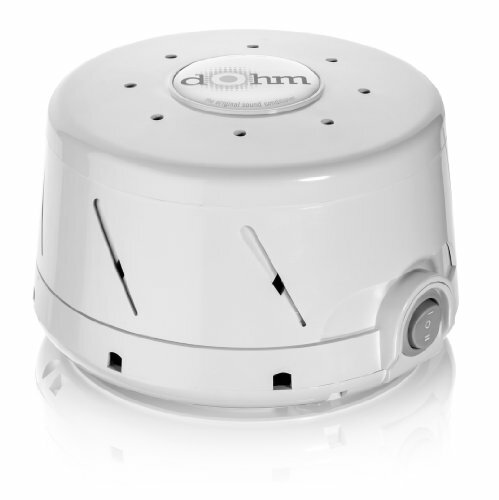 If you’re desperate to get a decent night’s sleep, the obvious device is the Marpac Dohm. This device is purpose-designed for sleeping, and as it’s fan-based, there’s no repetition keeping your brain awake. The Homedics Sound Spa will suit those on a tight budget, as it costs significantly less than the other masking devices here, but bear in mind it only has six options. As for headphones, the Bose QuietComfort 35 headphones offer exceptional quality of both noise cancellation and sound, but the Sennheiser PXC 550 certainly have the edge if you want your music to sound it’s best. The Sony WH-CH700N are the only budget-friendly option here, and they work well enough for most people. We hope you’ve enjoyed this article. Please let us know what you think below.